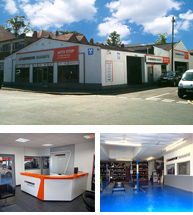 Auto Stop Leamington Ltd (old name - Tyre Stop) was established over the last 30 years since then, we aimed for top garage service provider and No.1 tyre specialist in this area. We have been doing our best to offer top quality service to our valued customers. As a result we do have very trustworthy reputation from customers and promising business.